Product prices and availability are accurate as of 2019-04-19 02:46:08 UTC and are subject to change. Any price and availability information displayed on http://www.amazon.com/ at the time of purchase will apply to the purchase of this product. 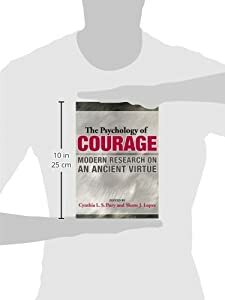 Although courage has been widely celebrated throughout recorded history, social scientists are just beginning to explore this complex human strength. What is courage and can it be developed? What are the different types of courage? 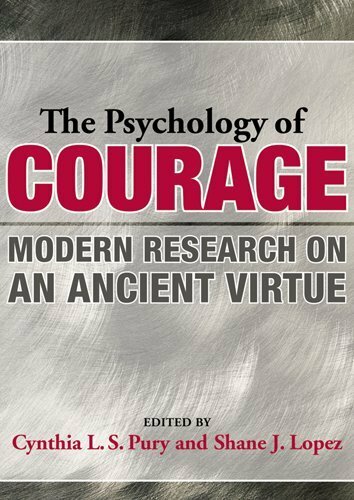 From the mundane to the most heroic feats, this book synthesizes recent advances in our understanding of the psychology of courageous actions and related prosocial behaviors. Twelve chapters examine the meaning of courage, basic research on the psychological mechanisms of courage, and practical applications of courage research to organizational leadership, military psychology, and society at large. This book will appeal to emotion researchers, social psychologists, positive psychologists, I/O psychologists, military psychologists, and graduate students in these areas.